Local filmmaker Ted Timreck is working in partnership with the Shaker Swamp Conservancy to tell the story of New Lebanon's past and to help preserve its treasures. In his films, Ted Timreck explores the defining features of the Shaker Swamp, and its historical and cultural significance. The resources of the Shaker Swamp and the communities that arose around it shaped the history of American medicine. 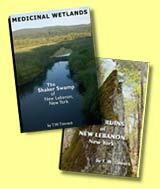 In the groundbreaking film Medicinal Wetlands Ted Timreck explores the huge Shaker Swamp at the base of Mount Lebanon, used as a source of medicinal plants by Native Peoples, the Shakers and Tilden Company --the first pharmaceutical company in the country. 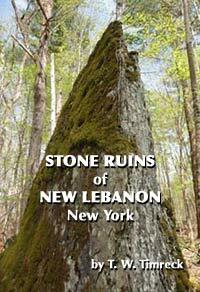 Ted Timreck's new documentary film Stone Ruins of New Lebanon, New York offers an intriguing look at local stone artifacts that may have been a Native American ceremonial site. See what a Native American Tribal Preservation Officer, an archaeologist, a Shaker scholar, the Town Historian, a local antiquarian, and the natural surroundings suggest about the site. Funded by Berkshire Taconic Community Foundation's Fund for Columbia County and by private donations, this is an evocative exploration of one part of Shaker Swamp history. Ted Timreck is the owner of T. Timreck Productions, Inc. He has worked extensively with Smithsonian scientists documenting field research, producing video and electronic media for the National Museum of Natural History and programming for public and cable television. To view the history of Ted Timreck's productions, please click here. 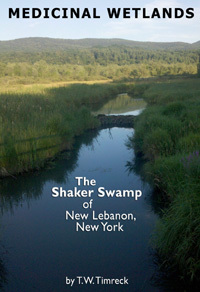 The mission of the Shaker Swamp Conservancy is to preserve the Shaker Swamp as a unique and defining asset of the Lebanon Valley, to promote understanding of this natural resource and its human heritage, and to create related opportunities for public access, education, and recreation. 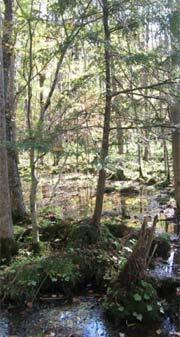 ©2012- Shaker Swamp Conservancy. All rights reserved.